The Indian Air Force’ (IAF) plans to acquire three additional Boeing C-17 transport aircraft may not be possible as Boeing is left with only one aircraft after it sold four of them to Qatar in June. Boeing has halted the production line after it expressed to shut it down in April three months prior than originally anticipated. Boeing had five C-17 aircraft to sell when the air force first moved the proposal in April. Qatar signed an agreement with Boeing for the purchase of four additional C-17 Globemaster III airlifters in June. With the signing, Boeing is left with only one aircraft for sale. “IAF might look at aircraft from the US inventory or retracted orders of a third country which are unlikely. A solution cannot be ruled out, they said, given that the deal is being processed under the Foreign Military Sales pact,” Economic Times news daily quoted unnamed officials as saying Monday. The IAF C-17 Globemaster has been extensively employed in evacuation and rescue operations ever since India bought 10 of them in 2013. The Globemasters have had 100 or more sorties in the last two-three years saving thousands of lives in Jammu and Kashmir floods, Yemen evacuation and most recently Nepal earthquake relief effort. Impressed with the cargo carrier’s ability to deliver humanitarian aid and rescue stranded people operations IAF had initiated a proposal to the Indian government to buy additional three Globemasters. India had an option to buy six additional Globemasters as per the 2011 contract which was worth $4.7 billion. The Indian Air Force is hoping to procure three Boeing C-17 aircraft it had cleared for purchase since August this year. An IAF source told defenseworld.net correspondent that the plan to procure three aircraft for which an INR 8100 crore (US$ 1.2 billion) funding had been proposed, was on but it was not clear when the force would receive them. A Boeing representative said that only one was available for sale as all the remaining C-17s had been taken up by other customers. The production line of the C-17 has since been shut. India has acquired 10 C-17s and finds them immensely useful in transporting military cargo and in humanitarian operations. It had subsequently mooted a proposal to acquire six additional aircraft but the government okayed only three but that too seems doubtful given that nine out of 10 available for sale at the time Boeing decided to shut C-17 production last year have been committed elsewhere. While India was still considering additional orders for the C-17, Kuwait picked up two, Australia two, Canada one and Qatar four of the last 10 available. Industry sources said that unless there are order cancellations or the US governments accommodates India from the US Air Force inventory, chances of receiving the three C-17s is bleak. India’s defence acquisition council (DAC) which gives the final go-ahead for procurement projects has not yet cleared the additional three C-17 acquisition. This is indicative of the fact that the purchase may not happen in the near future, said an industry source. Unable to process its request in time to buy three C-17 Globemaster heavylift transport aircraft from the US, the Air Force is now moving a proposal to buy the only remaining aircraft in the American inventory for over Rs 2,500 crore before the Defence Ministry. Originally, the Air Force wanted to buy three C-17 planes from the US, which has stopped the production of these planes at its facility in Long Beach, California but the American government was left only with one plane for sale. "We will now buy whatever we can and are planning to buy the single aircraft left with the US. In this regard, we are planning to move our proposal in a key Defence Ministry meeting planned to be held this month," a senior IAF source told Mail Today here. The aircraft would help the Air Force expand its inventory of 10 C-17 Globemaster heavylift transport aircraft which has been used by the force to carry out several major operations including airlift of new currency notes after the demonetisation drive by Prime Minister Narendra Modi. The price of the single aircraft would be more than Rs2,500 crore and would be delivered in couple of years after the contract is signed between India and the US under a Foreign Military Sales route contract. India had bought the previous 10 aircraft from the American government under a $4.1 billion (Rs2,780 crore approx) deal and all of them are deployed at its Hindon air force base near here. With additional three aircraft, the IAF wanted to enhance its capability to airlift men and material during times of crisis as it did during the earthquake in Nepal and natural disasters in eastern parts of the country. Apart from the natural disasters, the aircraft have also provided the capability to the air force to directly airlift tanks and infantry combat vehicles from the plains to high mountainous areas of Ladakh on the border with China. The plane can also airlift around 300 fullygeared troops for operations and can fly from country's northernmost airfield in Leh to southernmost runway in Andaman and Nicobar island territory directly and provides capability of fast deployment of troops from one place to the other. In a presentation given to the Prime Minister on the requirements of the Air Force last year, the Air Force had pressed upon the need for more such aircraft due to their utility and performance in operations. However, owing to certain infrastructure issues, the fleet of American planes is yet to be fully utilised and this was also pointed out by the Comptroller and Auditor General in one of its recent reports. The announcement on 26 June that India is to receive another Boeing C-17 Globemaster III strategic airlifter has brought to an end a two-year effort to sign up a customer for the last aircraft to roll off the now-closed production line at Long Beach, California. The US Defense Security and Cooperation Agency (DSCA) said the State Department has approved the sale to India of the final C-17 for USD336.2 million. The proposed deal, which still needs to be approved by Congress, covers equipment as well as sustainment and support in addition to the aircraft. The Indian Air Force (IAF) already fields 10 C-17s that are flown by 81 Squadron out of Hindon Air Force Station, near Delhi. As with all the other operators of the C-17, the IAF's fleet is supported by Boeing via its Globemaster III Integrated Sustainment Program (GISP) performance-based logistics contract. This 'virtual fleet' enables international customers to tap into the US Air Force's (USAF's) vast support infrastructure. It is likely that a large percentage of the value of this proposed Indian sale is related to the aircraft's through-life sustainment and support through the GISP programme. In 2016, an official from the USAF Air War College in Alabama said there was "a fight going on between the Qataris, the Indians, and the Australians to get the last C-17", which it appears the Indians have now won. Boeing built a total of 275 C-17s at its Long Beach facility from 1991 to 2015. This run spanned 222 aircraft for the USAF (one of which was lost in an accident); 11 for India (including this latest aircraft); eight for Australia; eight for Qatar; eight for the United Arab Emirates (UAE); eight for the United Kingdom; five for Canada; three for NATO and the Partnership for Peace nations; and two for Kuwait. India is now set to snap up the world’s last available C-17 heavy transport aircraft after a last-minute approval by the defence ministry last week, two years after a special request was made to Washington to reserve the plane. A meeting of the defence acquisition committee (DAC) headed by minister Nirmala Sitharaman cleared the procurement that will take the total number of the transport aircraft in the Indian Air Force to 11. US manufacturer Boeing has shut down the production line after producing 279 aircraft and the last C-17 Globemaster had more than one global contender given its unique role as a large airlifter optimised for special operations, humanitarian assistance missions and carrying troops over large distances. The lone aircraft is likely to cost India over Rs 2,700 crore and could arrive within a few months after the formal signing of the contract. The plane is being bought under the Foreign Military Sales (FMS) or direct government purchase route from Washington. With the clearance, the defence ministry will now send a formal ‘letter of acceptance’ (LOA) to confirm the sale. As reported by ThePrint, India had lobbied hard to get the last plane since 2015 but bureaucratic red tape had created the possibility of the aircraft being taken up by another buyer. Sources said that the aircraft – which has been produced and kept mothballed – will be prepped up and will go through a set of tests before being delivered. In 2015, the Air Force had cleared a proposal to buy three of the heavy lifters at a cost of Rs 8,100 crore but as procurement process dragged on, its manufacturer Boeing ran out of aircraft to sell as the C-17 production line was shut down. 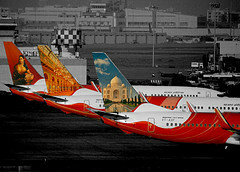 In 2011, India had bought 10 aircraft for $4.7 billion. The contract also had a follow-on option clause to procure six more aircraft. However, with limited resources available, the Air Force had asked for an additional three, impressed by its operational abilities. Boeing has been contracted to deliver its final C-17 Globemaster III strategic airlifter to India. A USD 262 million award for the delivery of the last C-17 to the Indian Air Force (IAF) to roll off the now-closed production line at Long Beach, California, was announced on 30 March. The aircraft, which was built as a ‘white-tail’ (with no customer yet signed up), will join the 10 C-17s already fielded by the IAF by 22 August 2019. This contract follows US State Department approval of the sale, which the Defense Security and Cooperation Agency (DSCA) had originally put at USD336.2 million. The additional funds will cover further ancillary equipment as well as sustainment and support. As with all the other operators of the C-17, the IAF’s fleet is supported by Boeing via its Globemaster III Integrated Sustainment Program (GISP) performance-based logistics contract. This ‘virtual fleet’ enables international customers to tap into the US Air Force’s (USAF’s) vast support infrastructure. It is likely that a large percentage of the value of this proposed Indian sale is related to the aircraft’s through-life sustainment and support through the GISP program. The Indian Air Force will receive its final Boeing C-17 Globemaster III heavylift jet in the third quarter of 2019, sources have confirmed to Livefist, taking the fleet up to 11 aircraft. The last ‘white-tail’ from Boeing’s Long Beach, California facility, is currently being fitted with India-specific systems in San Antonio, Texas, and will join 81 Squadron, ‘Sky Lords’ in August-September 2019. India won a scrappy three-way joust against Qatar and Australia to grab the final airframe in March, though the win was still a bitter one — procedural red tap had constrained the Indian Air Force from procuring at least three of the last few jets to roll out of Boeing’s now shuttered heavy jet shop. Having to settle for just the one, India will be paying $262 million for the last jet.